The San Jamar R5000TBK wall-mount twin toilet paper dispenser provides constant availability of toilet paper while eliminating stub roll waste with an Infinity System®. It holds two 10-inch jumbo rolls with a minimum 3.25-inch core diameter. 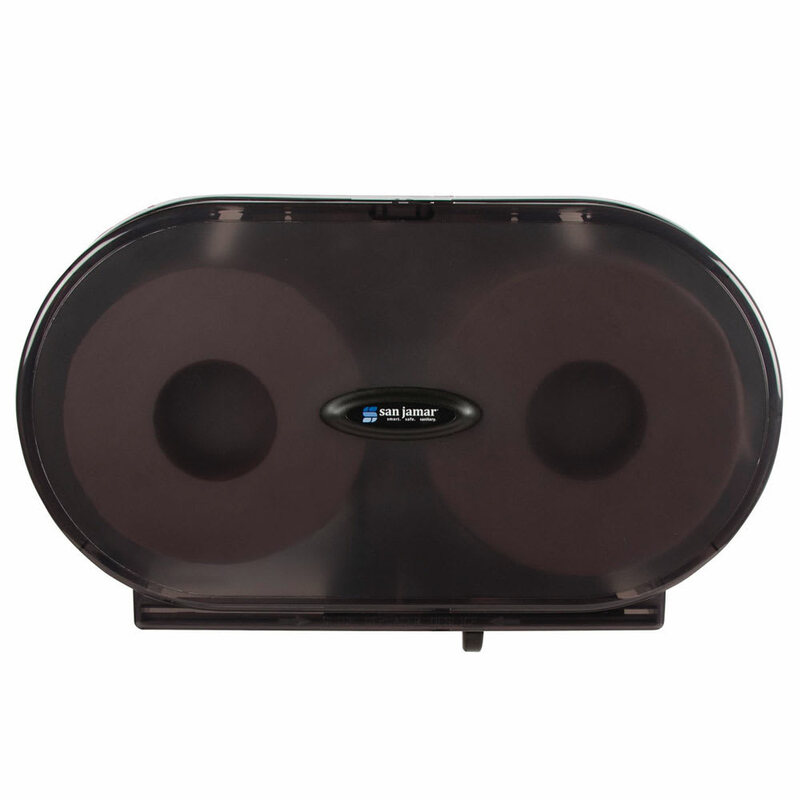 Since it is made of heavy-duty plastic, the toilet paper dispenser has durability to withstand commercial use. Can have a minimum 3.25-in. roll core dia.